George Washington Stratman was born October 3, 1876, in the Village of Dodgeville, Iowa Co., WI, and died November 24, 1918, in Monroe, Green Co., WI, at age 42. Buried in Eastside Cemetery, Dodgeville, Iowa Co., WI. 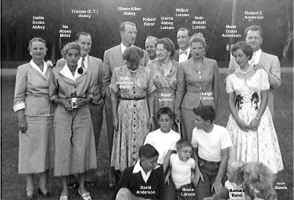 He is the son of Frederick W. Stratman of Kronenberg, Rhenish/Rhineland, Prussia/Germany, and Anna Helena Rosina "Annie" Tesche of Kronenberg, Rhineland, Prussia/Germany. 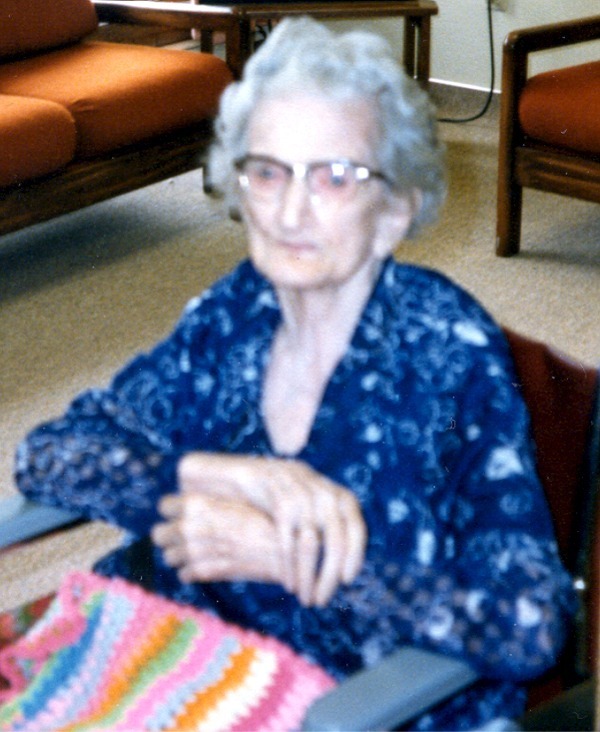 Mary Maude Abbey was born December 10, 1881, in Orion Twp., Richland Co., WI, and died September 30, 1986, at Pine Ridge Manor, Waupaca, Waupaca Co., WI, at age 104. Buried in Eastside Cemetery, Dodgeville, Iowa Co., WI. She is the daughter of William Searle Abbey of Hope Twp., Durham Co., Canada West, and Ida Elmira Blake of Orion Twp., Richland Co., WI. Buried in Eastside Cemetery, Dodgeville, Iowa Co., WI. George Washington Stratman and Mary Maude Abbey were married August 12, 1903, at the Methodist Episcopal Church, Dodgeville, Iowa Co., WI. Donald William "Don" Stratman: Born March 4, 1904, in Dodgeville, Iowa Co., WI; Died January 24, 1990, in a hospital in Muscatine, Muscatine Co., IA (age 85). Buried in Yellowstone Lutheran Church Cemetery, Argyle, Lafayette Co., WI. Married 1927 in Wisconsin to Clara B. Dammen: Born June 19, 1901, in York Twp., Green Co., WI; Died May 1, 1961, in San Jose, Santa Clara Co., CA (age 59). Buried in Yellowstone Lutheran Church Cemetery, Argyle, Lafayette Co., WI. Dallas George Stratman: Born March 4, 1904, at a Dodgeville hospital, Dodgeville, Iowa Co., WI; Died October 26, 1966, in Dodgeville, Iowa Co., WI (age 62). Buried in Eastside Cemetery, Dodgeville, Iowa Co., WI. Married June 10, 1929, in Wisconsin to Ella Viola Dammen: Born June 18, 1903, in York Twp., Green Co., WI; Died December 26, 1999, in Moscow, Muscatine, IA (age 96). Buried in Eastside Cemetery, Dodgeville, Iowa Co., WI. George Ervin Stratman: Born August 21, 1905, in Dodgeville, Iowa Co., WI; Died July 5, 1964, in Los Angeles, Los Angeles Co., CA (age 58). Buried in Los Angeles National Cemetery, Los Angeles, CA. Married (1) October 11, 1924, in the Courthouse in Freeport, Stephenson Co., IL, to Mamie Eleanor Edam: Born February 13, 1905, in Highland Twp., Iowa Co., WI; Died February 7, 1996, at Memorial Hospital of Iowa County, Dodgeville, Iowa Co., WI (age 90). Buried in Eastside Cemetery, Dodgeville, Iowa Co., WI. Divorced. Married (2) about 1946 in Unknown, to Edna Virginia (Hutchison) Hamilton: Born September 17, 1902, near Bolivar, Polk Co., MO; Died July 18, 1966, in Los Angeles, Los Angeles Co., CA (age 63). Buried in Los Angeles National Cemetery, Los Angeles, CA. Edna's mother's maiden name was Reynolds. 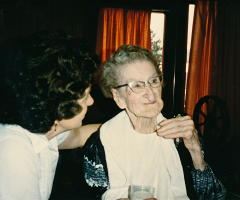 Marian Alynn Stratman: Born April 25, 1915, in Monroe, Green Co., WI; Died May 3, 1998, at Safe Harbor Hospice, Las Vegas, Clark Co., NV (age 83). Buried in Palm Valley View Memorial Park, Las Vegas, Clark Co., NV. Married February 28, 1942, in St. Andrew's Cathedral, Honolulu, Territory of Hawaii, to Donal Journey "Don" Egelus: Born November 23, 1920, in Lebam, Pacific Co., WA; Died June 20, 2008, in Tacoma, Pierce Co., WA (age 87). Buried in Tahoma National Cemetery, Kent, King Co., WA. Divorced. Female: Kay-Alynn "Kasey" Egelus, born February 25, 1947, in Hailey, ID. Henry C. Egelus and Glossie A. Journey, married November 23, 1910, in Caldwell, Canyon Co., ID. Donal was a 1939 graduate of Jerome High School, entered naval service August 14, 1943. Son of Mrs. Clessie J. Egelus of 1331 Yellowstone, Pocatello. 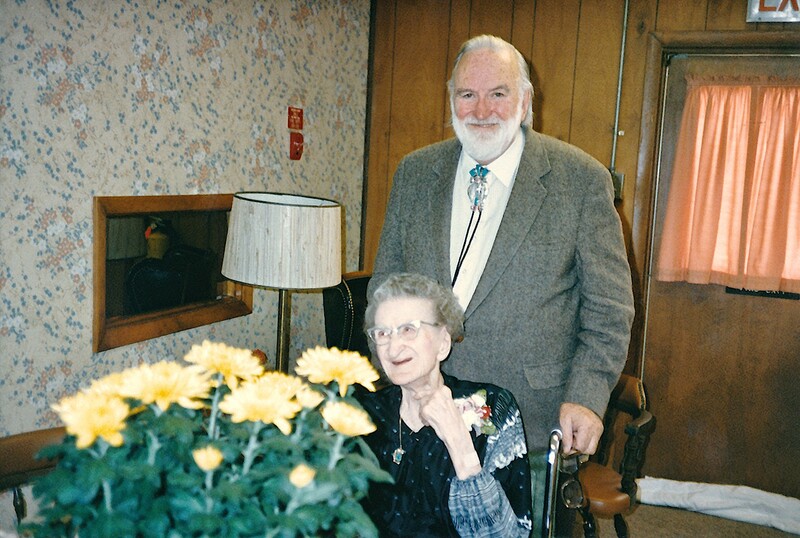 In 1971 he was already remarried to Helen Patricia "Pat" (Richards) Wright: Born January 6, 1921, in Gooding, Gooding Co., ID; Died May 24, 2012, in Anchorage, Anchorage Co., AK (age 91). Buried in Tahoma National Cemetery, Kent, King Co., WA. Gerald Lee Wright (born April 1, 1919) and Kathleen Joane Wideman (born January 16, 1919), married February 6, 1970, in Spokane, WA . Spokane, WA. 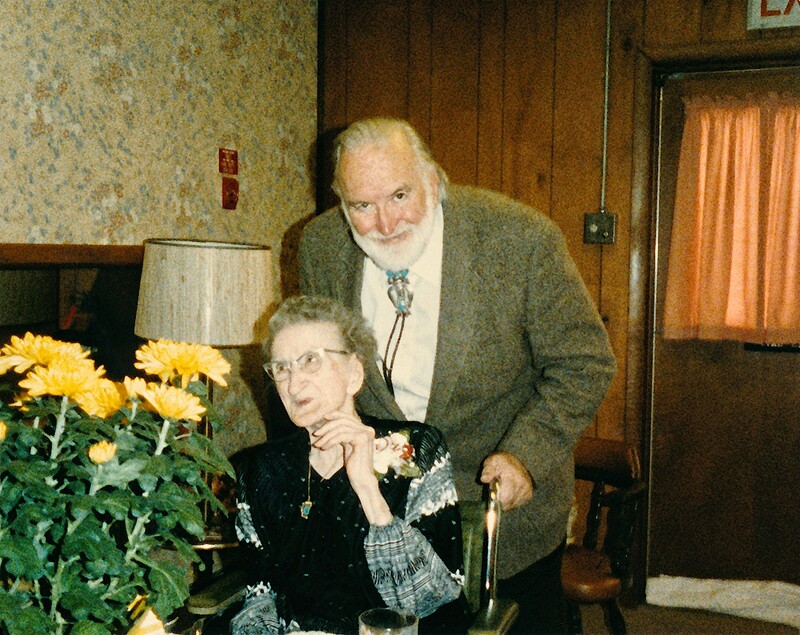 Rufus G. Wright and Helen Patricia "Pat" Richards were married February 14, 1942, in Weiser, Washington Co., ID. Rufus G. Wright was born December 2, 1921, in Milo, ID, and died April 15, 1997, in Spokane, Spokane Co., WA, at age 75. George Washington Stratman is buried in Eastside Cemetery, Dodgeville, Iowa Co., WI. Mary Maude (Abbey) Stratman is buried in Eastside Cemetery, Dodgeville, Iowa Co., WI. The 1870 U. S. Census taken on June 24, 1870, shows Fredrick Stratman (age 38) born in Prussia with real estate worth $4,000 and personal estate worth $6,000 is a Blacksmith living in the Village of Dodgeville, Iowa Co., WI. Living with him is Rosina Stratman (age 39) born in Prussia, who is Keeping House. 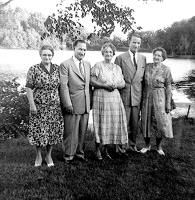 Also living there are four Stratman children: Edward Stratman (age 10) born in Illinois; Emma Stratman (age 8) born in Wisconsin; William Stratman (age 4) born in Wisconsin; and Rosina Stratman (age 6/12) born in Wisconsin. George Washington Stratman was born October 3, 1876, in the Village of Dodgeville, Iowa Co., WI. The 1880 U. S. Census taken on June 7, 1880, shows Fredrick W. Stratman (age 48) born in Prussia to Prussian-born parents is a Blacksmith living in the Village of Dodgeville, Iowa Co., WI. Living with him is his wife, Anna H. R. Stratman (age 49) born in Prussia to Prussian-born parents, who is Keeping House. Also living there are his five unmarried children, all born to Prussian-born parents: Gustof E. Stratman (age 20) born in Illinois, a Blacksmith; Helena E. Stratman (age 18) born in Wisconsin; Fredrick W. Stratman (age 14) born in Wisconsin; George W. Stratman (age 3) born in Wisconsin; and Anni C. Stratman (age 8/12) born in Wisconsin. Two Boarders and a Servant also live in the household. The 1885 Wisconsin State Census shows William Abbey is the Head of Household and is living in Orion Twp., Richland Co., WI: 2 Males, 4 Females. By June 11, 1898, the William Abbey family had removed from Orion Twp., Richland Co., WI, to Dodgeville, Iowa Co., WI. The 1900 U. S. Census taken on June 16, 1900, shows Frederick Stratman (age 67) born September 1832 in Germany to German-born parents is a Manufacturer of Carriages and Wagons owning his own mortgaged home and living in the 3rd Ward, City of Dodgeville, Dodgeville Twp., Iowa Co., WI. Living with him is his wife of 47 years, Rosina Stratman (age 69) born May 1831 in Germany to German-born parents, with 4 of the 9 children born to her still alive, who is Keeping House. Also living there are various family members: unmarried son George W. Stratman (age 23) born October 1876 in Wisconsin to German-born parents, who is a Carpenter; son-in-law Warren H. Thomas (age 46) born may 1854 in Illinois to Unknown-born parents, who is a Grocer; daughter Emma H. Thomas (age 38) born February 1862 in Wisconsin to German-born parents, who has been married for 7 years with both of her children still alive; grandson Warren S. Thomas (age 5) born June 1894 in Wisconsin to Illinois and Wisconsin-born parents; and Granddaughter Margeret H. Thomas (age 4) born May 1896 in Wisconsin to Illinois and Wisconsin-born parents. GOV. LA FOLLETTE AT GOLDEN WEDDING. Dodgeville, Wis., Oct. 11. - Gov. and Mrs. R. M. La Follette attended the golden wedding anniversary reception of Mr. and Mrs. F. W. Stratman, Sr., last evening. Mr. and Mrs, Stratman are among the earliest settlers of Dodgeville. Mr. Stratman has been one of the builders of this city and county. 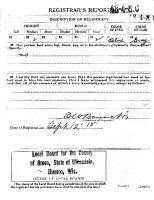 He at present conducts one of the leading wagon and carriage manufacturing plants in Southern Wisconsin and is one of our best citizens, many times holding important offices of trust, now being one of the city aldermen. Mr. Stratman was born in 1832 and Mrs. Stratman was born in 1831 in Cronenberg, Rheinland, Germany, in one of the most thickly-settled parts of the upper valley. They were raised in the same parish, brought up in the same church, confirmed and taken into the church by the same pastor, Rev. W. Hastert. They were married in 1852, and in 1853 they came to America and after a three months' trip landed in Galena, Ill. They resided in Galena about six years when they moved to Dodgeville, just after the election of Lincoln. Mr. Stratman made his native country a visit in 1892, when his aged mother of 92 years was feeble and afterwards died. He is the last survivor of seven children. Mr. Stratman has always been a Republican. They have four children living, G. E., F. W., G. W. Stratman and Emma, now Mrs. W. H. Thomas. Leigh Larson note: A picture of the Stratmans also appeared with the article. Dodgeville Sun: Miss Maud Abbey, daughter of Mr. and Mrs. William Abbey and George Stratman, youngest son of Mr. and Mrs. F. W. Stratman, Sr., were quietly married at the parsonage by Rev. C. Cook, Wednesday evening. Both bride and groom are well known and popular young people. They will reside on Clarence street and will begin housekeeping immediately. 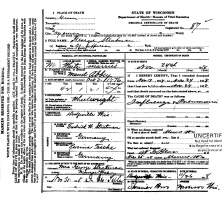 The 1905 Wisconsin State Census taken on June 1, 1905, shows George Stratman (age 28) born in Dodgeville, WI, to German-born parents is a Wheelwright renting his home in the City of Dodgeville, Iowa Co., WI. Living with him is his wife, Maud M. Stratman (age 23) born in Richland Center, WI, to Canadian West-born parents. Also living there are his two sons, both born in Dodgeville, WI to Canadian West-born parents: Donald Stratman (age 1); and Dallas Stratman (age 1). 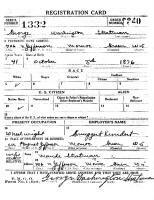 The 1910 U. S. Census taken on May 4, 1910, shows George W. Stratman (age 34) born in Wisconsin to German-born parents is a blacksmith in a wagon factory owning his home in the City of Dodgeville, 3rd Ward, Iowa Co., WI. Living with him is his wife of 7 years, Maud M. Stratman (age 39) born in Wisconsin to Wisconsin-born parents. Also living at home are their children, all born in Wisconsin to Wisconsin-born parents: Donald Stratman (age 6); Dallas Stratman (age 6); and George Stratman (age 5). 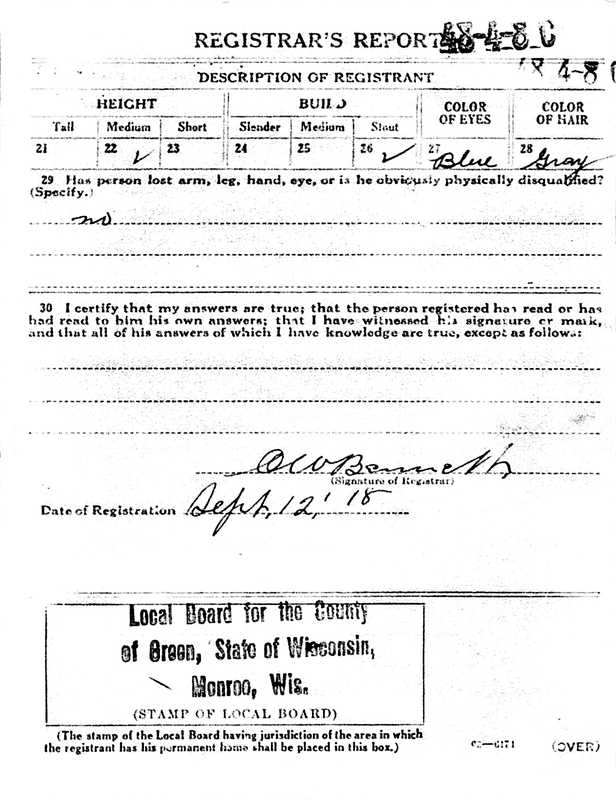 The WWI Draft Registration Report dated September 12, 1918, shows George Washington Stratman (age 41) is a Wheel Wright for Kruggert Kundert, and is living at 406 N. Jefferson St., Monroe, Green Co., WI. 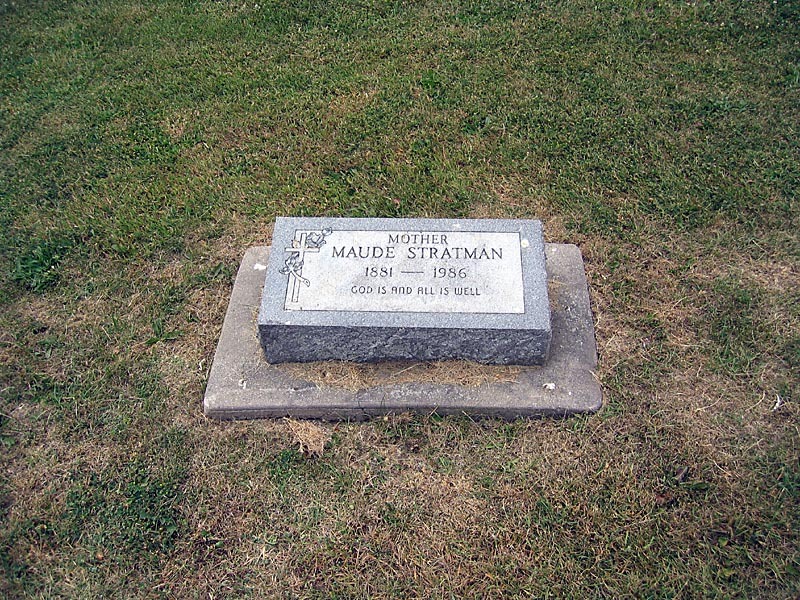 His nearest relative is his wife, Maude Stratman. George Washington Stratman died November 24, 1918, in Monroe, Green Co., WI, during the 1918 flu epidemic, at age 42. Buried in Eastside Cemetery, Dodgeville, Iowa Co., WI. 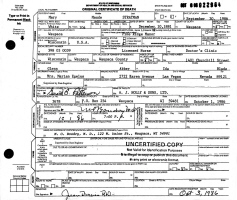 George Washington Stratman Death Certificate. Word has been received here that George Stratman had died of Influenza at his home in Edgerton. The remains will be brought here for burial. The 1920 U.S. Census taken on January 20, 1920, shows Sylvester Blake (age 63) born in Wisconsin to Pennsylvania-born parents is a Dairy Farm Farmer owning his own farm with a mortgage and living on Iowa Street, 3rd Ward, City of Dodgeville, Iowa Co., WI. Living with him is his wife, Ida Blake (age 57) born in Wisconsin to New York and Illinois-born parents. 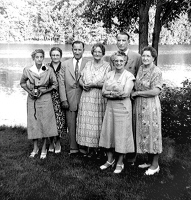 Also living in the house is a renter and her children, all born in Wisconsin to Wisconsin-born parents: Maud Stratman (age 36), an unemployed Head of Household widow; Dallas Stratman (age 15), a Farm Laborer; Donald Stratman (age 15), a Student; George Stratman (age 14); and Marian Stratman (age 4-9/12). Leigh Larson Note: Maude Stratman is Sylvester Blake's niece, is unemployed and renting from her uncle. The 1920 U. S. Census taken on January 25, 1920, shows William Abbey (age 66) born in Port Hope, Canada to Canadian and English-born parents is a farmer living on Menomonee Road, Spring Brook Twp., Dunn Co., WI. Living with him is his wife Elmira Abbey (age 61) born in Wisconsin of Pennsylvania-born parents. Also living with them is their grandson, Dallas Stratman (age 15) born in Wisconsin to Wisconsin-born parents. The 1920 U. S. Census taken on January 20, 1920, shows Henry C. Egelus (age 32) born in Michigan to Michigan and English-born parents is a Manager of a Store and owns his home with a mortgage and is living in Lebam, Pacific Co., WA. Living with him is his wife, Glessie G. Egelus (age 28) born in Missouri to Illinois-born parents, who is a Clerk in a Store. Also living there is his unmarried brother: Fred Egelus (age 25) born in Michigan to Michigan and English-born parents, a Laborer. 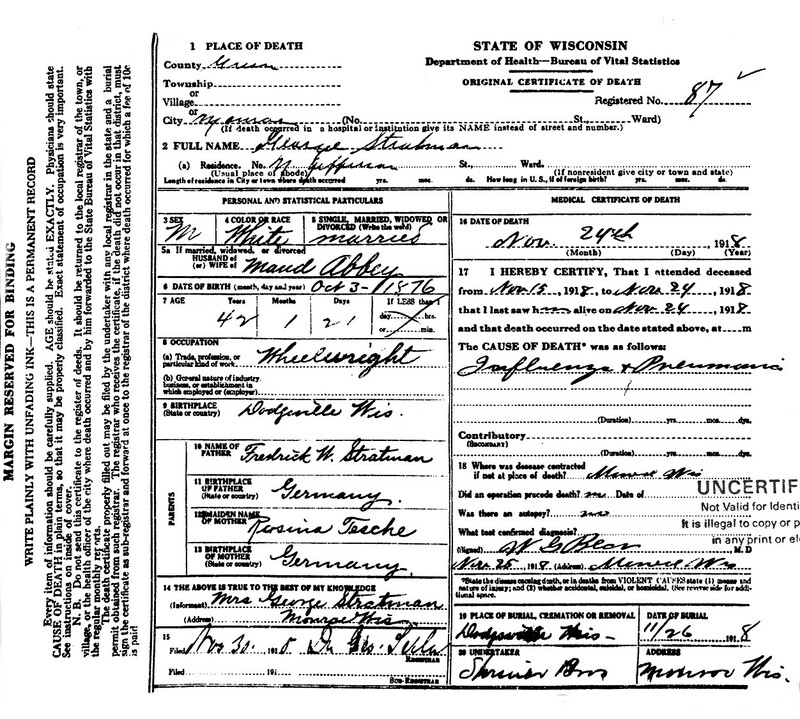 The 1930 U. S. Census taken on April 12, 1930, shows Maud M. Stratman (age 44) born in Wisconsin to Canadian and Wisconsin-born parents and first married at age 17 is a widowed Nurse who is Lodging at 710 Berlin Road, 2nd Ward, City of Waupaca, Waupaca Co., WI. The 1930 U.S. Census taken on April 9, 1930, shows Donald Stratman (age 26) born in Wisconsin to Wisconsin-born parents and first married at age 24 is a miner in a lead mine renting for $8 per month at 906 Spring Street, 1st Ward, City of Dodgeville, Iowa Co., WI. Living with him is his wife Clara Stratman (age 27) born in Wisconsin to Wisconsin-born parents and first married at age 25. The 1930 U.S. Census taken on April 9, 1930, shows Dallas Stratman (age 26) born in Wisconsin to Wisconsin-born parents and first married at age 24 is a miner in a lead mine renting for $8 per month at 906 Spring Street, 1st Ward, City of Dodgeville, Iowa Co., WI. Living with him is his wife Ella Stratman (age 25) born in Wisconsin to Wisconsin-born parents and first married at age 24. The 1930 U. S. Census taken on April 12, 1930, shows Almo Larson (age 44) born in Wisconsin to Swedish-born parents and first married at age 25 is a General Farm Farmer owning his own farm and is living in Farmington Twp., Waupaca Co., WI. Living with him is his wife, Emma Larson (age 46) born in Wisconsin to English Canadian and Wisconsin-born parents and first married at age 26. Also living there is Almo's son, Wilbur Larson (age 16) born in Wisconsin to Wisconsin-born parents. A niece, Marian Stratman (age 14) born in Wisconsin to Wisconsin-born parents, also lives there. Leslie Harris, a 30 year old unmarried Farm Laborer, also is lodging there. The 1930 U. S. Census taken on April 2, 1930, shows Henry C. Egeless (age 41) born in Michigan to Michigan and English-born parents and first married at age 23 is a Service Station Proprietor renting his home for $10/month and is living on Main Street, Jerome, Jerome Co., ID. Living with him is his wife, Glessie J. Egeless (age 38) born in Missouri to Missouri and Illinois-born parents and first married at age 20. Also living there are his two sons, both born to Michigan and Missouri-born parents: Donald J. Egeless (age 9) born in Washington; and Gerald C. Egeless (age 2) born in Oregon. Waupaca - Glenn A. Abbey, of the United States diplomatic service, was the principal speaker at the Lions club Monday noon at Hotel Delevan. Mr. Abbey was introduced by his brother-in-law, Almo Larson, at whose home he was a week end guest. Mr. Abbey's talk was of "The Foreign Service of the United States." Foe 13 years Mr. Abbey, a native of Dodgeville, Wis. and a graduate of Georgetown university, has been engaged in the American consular and diplomatic service. For two and one-half years he was stationed at Haiti, three years in the high commission in South Africa, located at Johanesburg and Pretoria. He was in Nicaragua a short time following the earthquake and in Venezuela four years. For a little more than a year he was in the service in Paraguay then at Buenes Aires and Paraguay, returning April 6 from Buenes Aires. Mr. Abbey was also a junior delegate to the Chaco peace conference. He is now doing special detail work with the department of state at Washington, D. C., where he will be stationed for two or three years. While in Waupaca Mr. Abbey was a guest at the home of his sister, Mrs. Almo Larson. He left Tuesday morning for Eau Claire where he will be the guest of another sister. Other week end guests of Mr. and Mrs. Larson were Mrs. Ida Abbey, Dodgeville; C. P. Abbey, San Antonio, Texas; Mrs. L. H. Anderson, Eau Claire; Wilbur A. Larson, Watertown; Miss Marion Stratman, Madison; Mrs. Maude Stratman and Harold Indestad, Waupaca. The 1940 U. S. Census taken on April 27, 1940, shows Mrs. Maude Stratman (age 58) born in Wisconsin, and 5 years ago was living in the Same Place, and with 4 years of High School, is a widowed Nurse at a Local Hospital who is renting her home for $8/month and is living at 509 South Main Street, 4th Ward, City of Waupaca, Waupaca Co., WI. 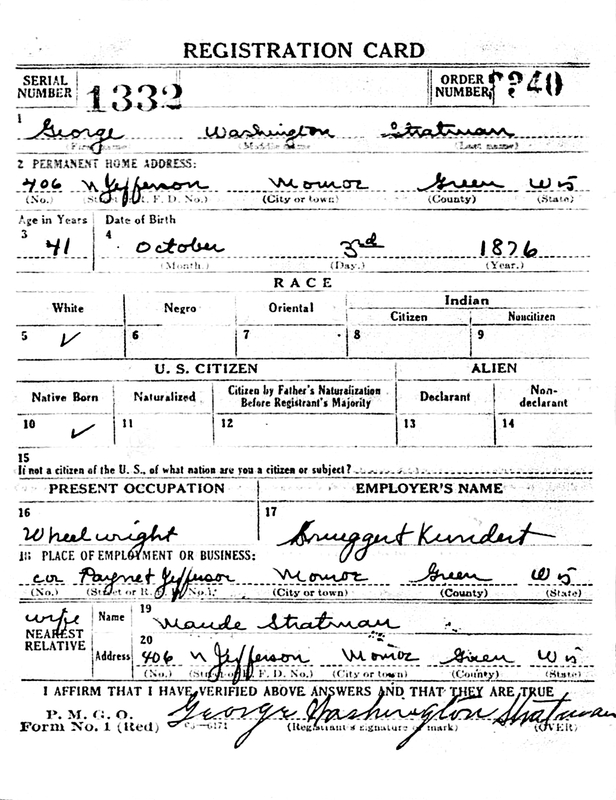 The 1940 U. S. Census taken on April 18, 1940, shows Donald Stratman (age 36) born in Wisconsin, and 5 years ago was living in the Same Place, and with 2 years of High School, is a married Miner in a Lead Mine who owns his home worth $500 and is living on Dodge Street, 1st Ward, City of Dodgeville, Iowa Co., WI. Living with him are: his wife, Clara Stratman (age 38) born in Wisconsin, and 5 years ago was living in the Same Place, and with 8 years of School; his son, LaVerne Stratman (age 7) born in Wisconsin, and 5 years ago was living in the Same Place, and with 1 year of School; his daughter, Marie Stratman (age 2) born in Wisconsin; and a divorced Lodger, George Stratman (age 34) born in Wisconsin, and 5 years ago was living in the Same Place, and with 1 year of High School, a Miner in a Lead Mine. The 1940 U. S. Census taken on April 13, 1940, shows Mamie Stratman (age 35) born in Wisconsin, and 5 years ago was living in the Same Place, and with 2 years of High School, is a divorced Recreation Director for a W. P. A. Project, who rents her home, and is living on West Chappel, 2nd Ward, City of Dodgeville, Iowa Co., WI. Living with her are: her son, Glenn Stratman (age 14) born in Wisconsin, and 5 years ago was living in the Same Place, and with 8 years of School; her daughter, Betty Stratman (age 13) born in Wisconsin, and 5 years ago was living in the Same Place, and with 8 years of School; her son, Billy Stratman (age 9) born in Wisconsin, and 5 years ago was living in the Same Place, and with 2 years of School; and her son, Bobby Stratman (age 6) born in Wisconsin, and 5 years ago was living in the Same Place, and with 1 year of School. 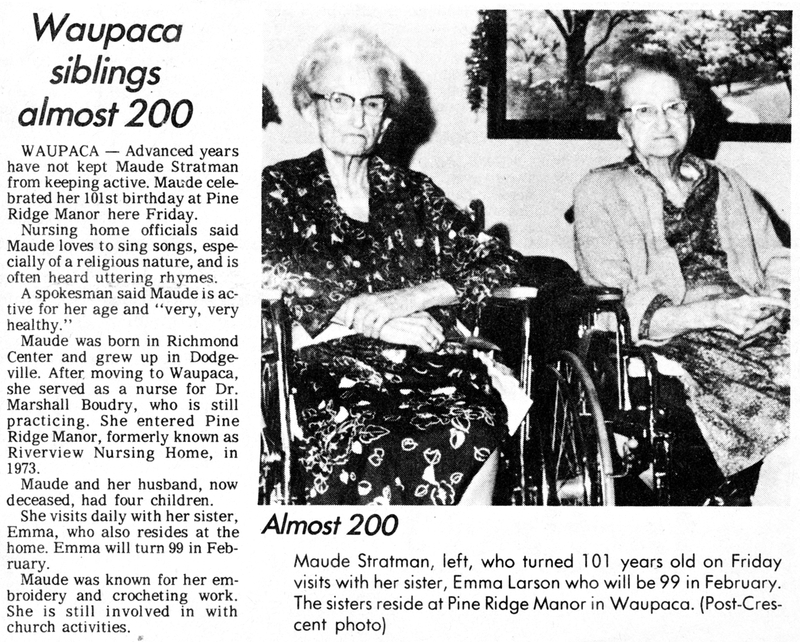 Waupaca - Mrs. M. Stratman will leave Thursday for Madison where she will visit her daughter, Miss Marian Stratman, who will leave that city May 20 for San Francisco from which place she will sail for Honolulu. Miss Stratman expects to be gone one year and will be employed as a surgical nurse in Queen Mary's hospital. Donal J. "Don" Egelus and Marion A. Stratman were married February 28, 1942, in St. Andrew's Cathedral, Honolulu, Territory of Hawaii. There is wide interest in the marriage service to be read Saturday in St. Andrew's cathedral, Honolulu, H. I., where Miss Marion Stratman, Honolulu, daughter of Mrs. Maude Stratman, Waupaca, will exchange vows with Donald Egelus, also of Honolulu. Miss Stratman, who attended the University of Wisconsin, later was graduated from the Madison General hospital school of nursing and then studied further at the Milwaukee county hospital. Later she returned to the Madison General hospital where she was a surgical nurse until May, 1940, when she took a similar position at Queen's hospital, Honolulu. 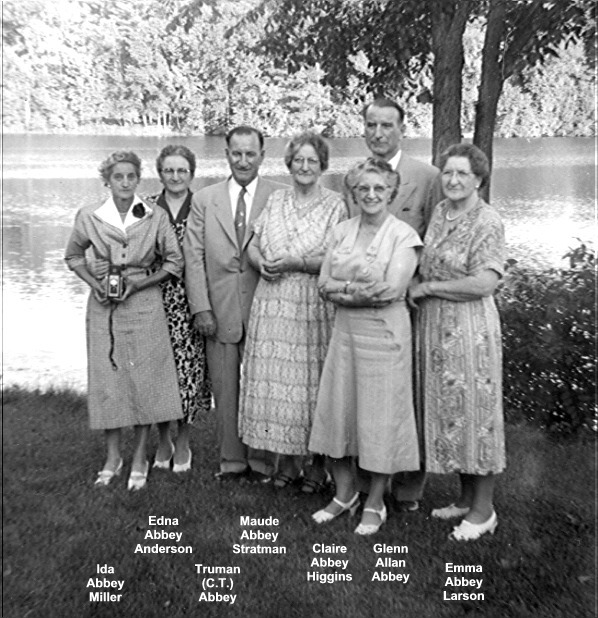 A niece of Glenn A. Abbey, American consul in London, England, Miss Stratman is also a cousin of the well known American research scholar, Dr. Warren Thomas. Her fiancee, son of Mr. and Mrs. H. C. Egelus, Jerome, Idaho, attended the Montana school of mines and is now with the United States engineers in the Hawaiian islands. Dodgeville, Wis. - Permission to work a vein of zinc and lead ore discovered by prospectors beneath the East side cemetery here was denied the Stratman Brothers' Mining Co. last night by the common council. Vote on a proposal by the company to pay the city a royalty on tonnage taken from a vein if permitted to work it was 5 to 1 for denial. A citizens' committee appeared before the council in opposition to the mining. Clara B. (Dammen) Stratman died May 1, 1961, in San Jose, Santa Clara Co., CA, at age 59. Buried in Yellowstone Lutheran Church Cemetery, Argyle, Lafayette Co., WI. Mrs. Donald Stratman, 59, formerly of Dodgeville, died Monday in San Jose, Calif., and services will be at 1 p.m. tomorrow in the Luloff funeral home, Dodgeville. Mrs. Stratman lived in Dodgeville 25 years before moving to San Jose about three years ago. She had been ill a longtime. 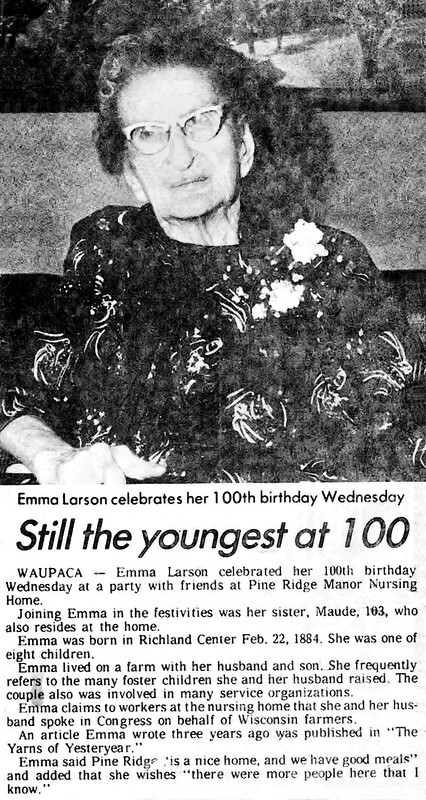 Her husband was a resident of Monroe at one time and was a newscarrier for The Monroe Evening Times in 1916. Surviving are her husband; a son, LaVerne, Sunnyside, Calif.; a daughter, Mrs. Kenneth Mlodzik in Missouri; forr sisters, Mrs. Hugh Wilson, Janesville; Mrs. Carl Gall, Belleville; Mrs. Ida Harris, Blanchardville, and Mrs. Dallas Stratman, Dodgeville; six brothers, Edward, Clarence and Victor Dammen, all of Blanchardville; Orlean, Argyle; Maurice, DeForest, and Lawrence, Fayette, and five grandchildren. Dallas George Stratman died October 26, 1966, at a Dodgeville hospital, Dodgeville, Iowa Co., WI, at age 62. Buried in Eastside Cemetery, Dodgeville, Iowa Co., WI. DODGEVILLE - Dallas G. Stratman, 62, died on Wednesday (Oct. 26, 1966) in a Dodgeville hospital after a long illness. He is survived in Madison by a son, Dallas D., 205 N. Orchard st. The funeral will be at 1:30 p.m. Friday in the Lulloff funeral home, Dodgeville, where friends may call after 2 p.m. today. George Oliver Edam died January 19, 1971, at Community Memorial Hospital, Sidney, Richland Co., MT, at age 73. Funeral services for George Oliver Edam, 73, of Crane, were held at 2 p.m. Jan. 25 at Fulkerson Memorial Chapel in Sidney with the Rev. Dwight Harshman officiating. Interment was in Sidney Cemetery. 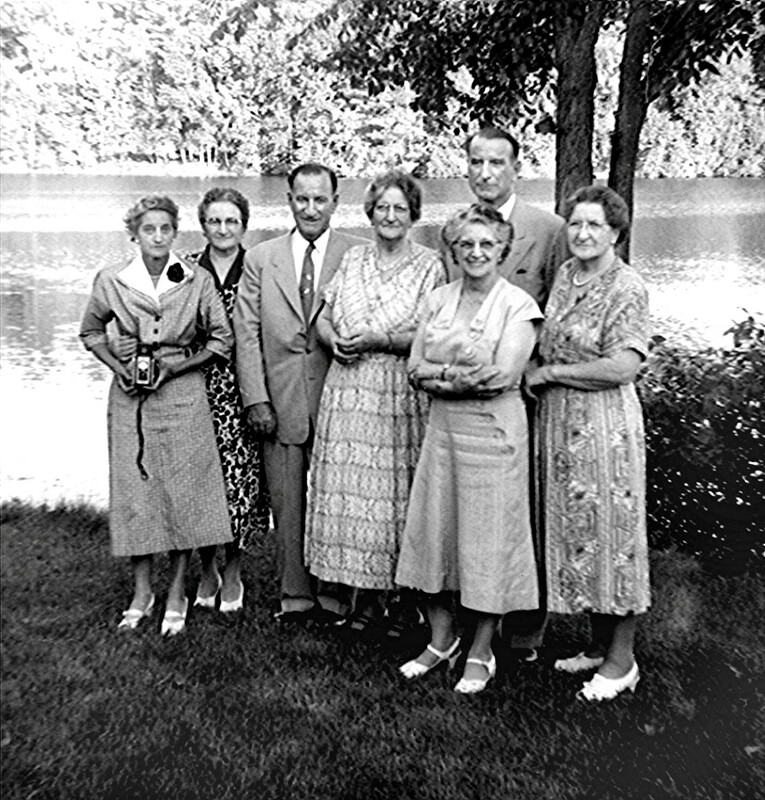 George Edam was born Sept. 7, 1897, at Dodgeville, Wisc., a son of Mr. and Mrs. Bert O. Edam. He came with his parents to Yates, near Wibaux in 1905, where his father homesteaded. His mother died the next year, and in 1913 the father moved his family to another ranch in the Fox Creek community of Richland County, west of Crane. After his father's death in 1914, Edam and his brother farmed the home ranch. He has farmed in that area since. He passed away Jan. 19, 1971 at Community Memorial Hospital in Sidney. Surviving are three sisters, Mrs. Ella Reese, Mrs. Alice Weier and Mrs. Mamie Stratman, all of Dodgeville, Wis., and several nieces and nephews. A brother, Wilbert B. Edam, preceded him in death March 30, 1961. At the services, Mrs. Edward Kristiansen sang "Beyond the Sunset" and "The Lord's Prayer," Mrs. J. Harry Johnson was organist. Usher was Ronald Sorenson. Pallbearers were Leonard Bakken, Emil Find, Lyle Larsen, Donald Petrik, Earl Wilson and LaVern Wilson. Fulkerson Funeral Home was in charge of arrangements. 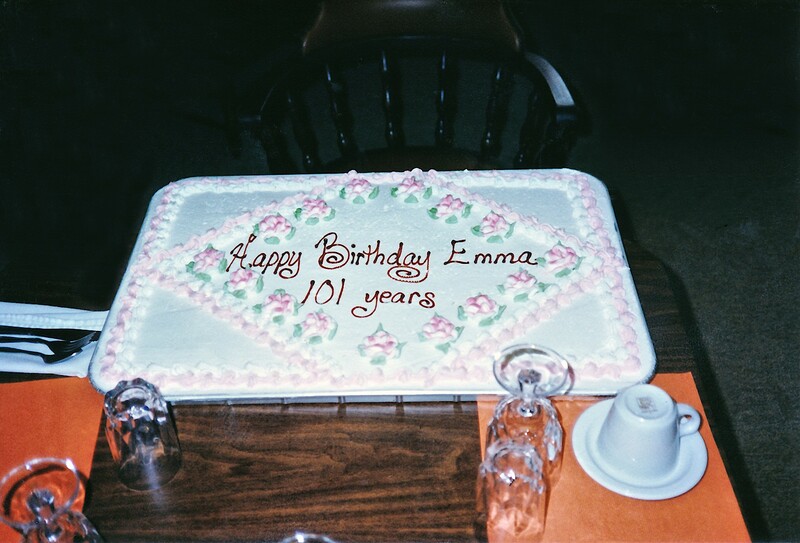 Pictures from Emma Jane (Abbey) Larson's 101st birthday. As usual, her son Wilbur was there to help her celebrate. 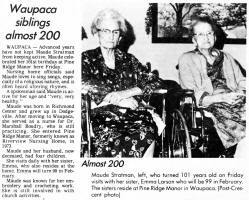 And Emma's 103-year-old sister, Maude (Abbey) Stratman, who also resided there, was always included. 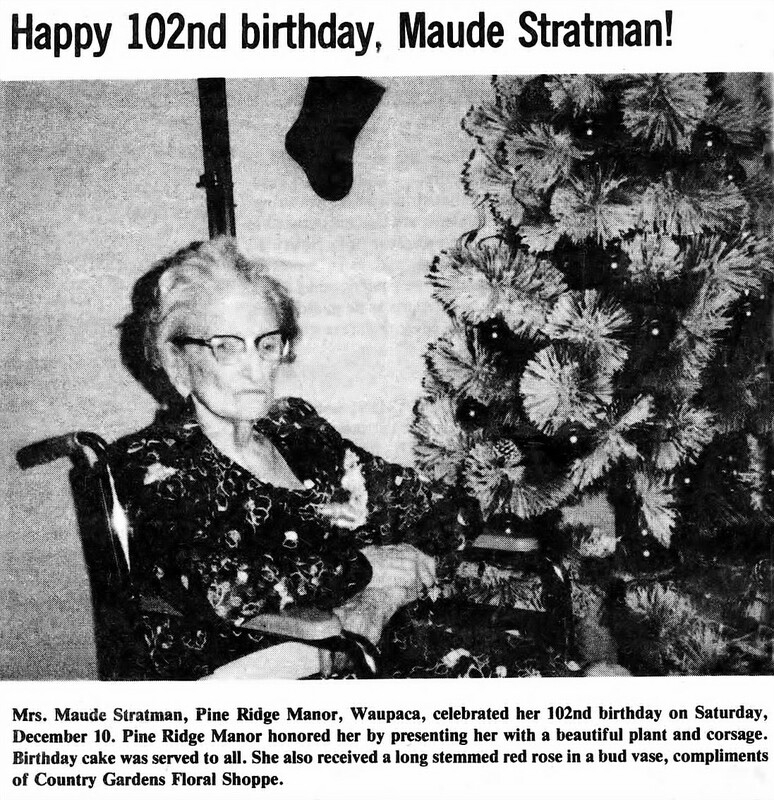 Mary Maude (Abbey) Stratman died September 30, 1986, at Pine Ridge Manor, Waupaca, Waupaca Co., WI, at age 104. Buried in Eastside Cemetery, Dodgeville, Iowa Co., WI. 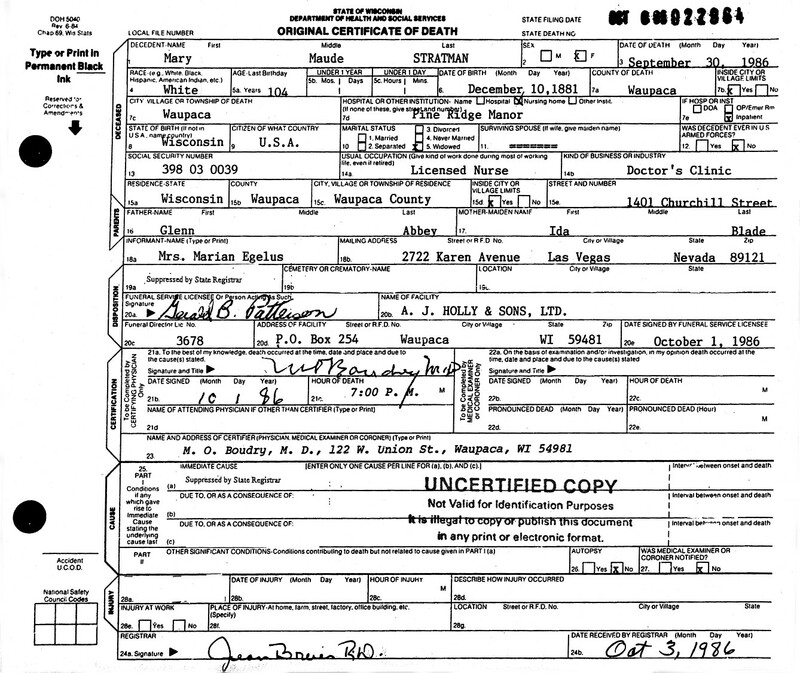 Mary Maude (Abbey) Stratman Death Certificate. 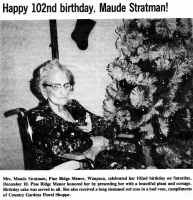 DODGEVILLE - Mrs. Maude Stratman, age 104, died on Tuesday, September 30, 1986, in a Waupaca nursing home. The former Maude Abbey was born in Richland County on December 10, 1881. She was married to George Stratman, and was a Dodgeville and Monroe resident for several years. She was a member of the United Methodist Church. She was preceded in death by her husband, George; two sons Dallas and George; a grandson; and a great-grandson. She is survived by a son, Donald, Dodgeville; a daughter, Mrs. Marian Egelus, Las Vegas, Nevada; nine grandchildren, 26 great-grandchildren; and 30 great-great-grandchildren. Funeral services will be held on at 11:00 a.m. Saturday, October 4, in the LULLOFF-PETERSON FUNERAL HOME, Dodgeville. Reverend Verlyn Harr will officiate. Burial will be in East Side Cemetery. Friends may call on Saturday, October 4, at the funeral home from 10:00 a.m. until time of service. Donald William "Don" Stratman died January 24, 1990, in a hospital, Muscatine, Muscatine Co., IA, at age 85. Buried in Yellowstone Lutheran Church Cemetery, Argyle, Lafayette Co., WI. DODGEVILLE - Donald W. Stratman, age 85, of Dodgeville, Wisconsin, died on Wednesday, January 24, 1990, in a Muscatine, Iowa hospital following an apparent heart attack. 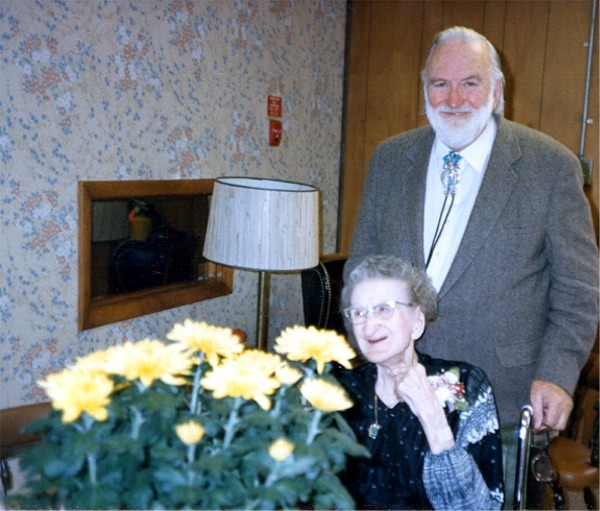 He was born on March 4, 1904, in Dodgeville to George and Maude (Abbey) Stratman. He married the former Clara Dammen in 1927. The couple resided in Dodgeville where he was co-owner of DH & S Mining Company until moving to San Jose, California in 1958. He was then employed with the San Jose Mercury News until retiring to Dodgeville in 1966. He was preceded in death by his wife, Clara on May 1, 1961; and two brothers, Dallas in 1966 and George in 1964. He is survived by a daughter, Marie (Kenneth) Mlodzik of Santa Barbara, California, and a son, LaVern (Bernice) Stratman of Seneca, South Carolina; six grandchildren; eight great-grandchildren; a sister, Marian Egelus of Las Vegas, Nevada; two sisters-in-law, Mrs. Ella Stratman and Mrs. Mamie Stratman both of Dodgeville; and numerous nieces and nephews. Funeral services will be at 1:00 p.m., on Monday, January 29, 1990, in the LULLOFF-PETERSON FUNERAL HOME, Dodgeville. Pastor Verlyn C. Harr will officiate. Burial will be in the Yellowstone Cemetery, Argyle. Visitation will be held on Sunday, January 28, from 6:00 p.m. until 8:00 p.m., at the funeral home. 12/05/03 - Helene F. Stratman made a peaceful transition from this world at home in Sonoma on Saturday, Nov. 29, 2003, with her loving family close to her side. She was 81, but looked far younger. Helene's passing came just days after a traditional Thanksgiving with her three children and their families, where many special and touching moments were shared. A woman of strength and determination, she will be forever missed as a loving mother, role model, devoted friend and leader. Helene was a 10-year resident of Seven Flags and active in many community groups. She was best known in Sonoma Valley as president and founder of the Vineyard Council of the Navy League. She enjoyed organizing activities such as excursions on-board U.S. Coast Guard vessels, private tours of Air Force bases and visits to the California Maritime Academy. Helene also served as a docent with the Sonoma Valley Historical Society at the Toscano Hotel. She was a member of Women of the Moose, Ladies Auxiliary of Veterans of Foreign Wars, Sons of Italy and other groups. Up until recently, Helene worked at Advanced Instruments Hearing Aid Center on Broadway. Before moving to Sonoma, Helene was a 30-year resident of Marin County where as a single mother, she worked full-time in medical office management and raised her children. Prior to founding the Vineyard Council, Helene served as executive officer of the Carpenter Division of the U.S. Naval Sea Cadet Corps in San Rafael and then as commander of the Sea Cadet Pyro Division in Petaluma. In these posts, she organized programs for young people interested in the sea services. Working with young people was a longtime avocation that spanned three decades, beginning with Civil Air Patrol (CAP) in San Francisco and Marin County. Ultimately achieving the rank of lieutenant colonel, Helene was commander of San Francisco CAP Squadron 86 from 1975 to 1981 and was also "Outstanding Information Officer" for the Marin Air-Rescue Composite Squadron 4. Born Aug. 23, 1922, Helene grew up in New York and Europe, traveling with Swiss-American parents who developed new concepts for watches and earned several patents for innovative designs. After settling in New York City, marrying and having children, Helene and her family moved to San Francisco in the early 1960s. Her first husband died in action in World War II, and her second husband was a World War II and Korean War veteran who died in 1974. 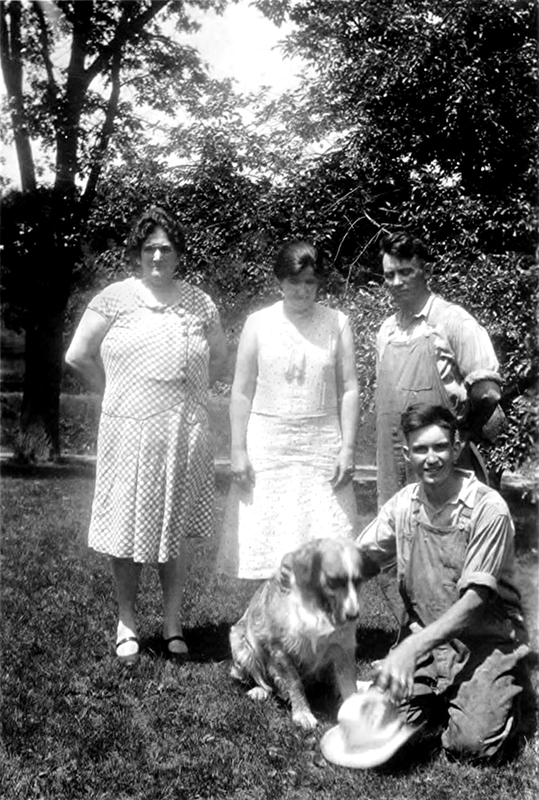 Helene is survived by daughter Jeanne Slominski and her husband, Ron, and grandson, Jesse "Moses" Slominski of Petaluma; daughter Teri Shore of Sonoma; son, George W. Stratman and his wife, Susan, and granddaughter, Emma, of Ramona; nephew Richard Lawson and his wife, Judith, of Alabama and their children; and cousin Hildegard Maag and husband, Willy, and extended family of Zurich, Switzerland. Arrangements were handled by Duggan's Mission Chapel. A celebration of Helene's life will be held 10 a.m. to noon, Saturday, Jan. 3, at the Seven Flags Clubhouse in Sonoma. RSVP to Teri Shore, terishore@mindspring.com, or 938-3469. Donations may be made to Valley of the Moon Hospice Team, 735 Broadway, Sonoma, CA 95476; or the U.S. Navy League Sea Cadet Corps, Pyro Division, U.S. Coast Guard Training Center, Petaluma, CA 94952. Mamie Eleanor (Edam) Stratman died February 7, 1996, at Memorial Hospital of Iowa County, Dodgeville, Iowa Co., WI, at age 90. Buried in Eastside Cemetery, Dodgeville, Iowa Co., WI. DODGEVILLE - Mamie E. Stratman, age 90, of Dodgeville, Wisconsin, died on Wednesday, February 7, 1996 at Memorial Hospital of Iowa County, following a brief illness. 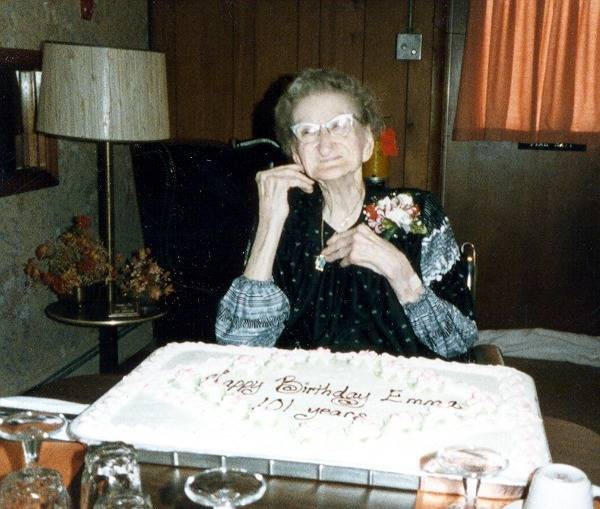 The former Mamie Edam was born on February 13, 1905 in Highland Township to Burt and Amelia (Kopps) Edam. Following graduation from the Dodgeville High School, she was married to George Stratman. She was a member of the Dodgeville United Methodist Church and the Governor Dodge Rebekah Lodge #74. Mamie is survived by a son, William (Phyllis) Stratman of Racine; a step-son, George (Nancy) Stratman of Salt Lake City, Utah; 16 grandchildren; 25 great-grandchildren; and a great great-grandson; sister, Alice Weire of Dodgeville; 2 sisters-in-law, Ella Stratman of Moscow, Iowa and Marion Stratman-Egelus of Las Vegas, Nevada; and nieces and nephews. She was preceded in death by her parents; a daughter, Betty Halverson; two sons, Glen and Robert Stratman; a grandson, Daniel Halverson; a sister, Ella Reese; and two brothers, George and Wilbur Edam. Funeral services will be held at 11:00 a.m. Saturday, February 10, 1996 at the LULLOFF-PETERSON-HOUCK FUNERAL HOME, Dodgeville. Reverend David J. Stratton will officiate with burial in EAST SIDE CEMETERY. Friends may call from 7 p.m. until 9 p.m. Friday at the funeral home where Rebekah services will be held at 8 p.m. In lieu of flowers, memorials may be made to the Bloomfield Manor Garden Room Fund. Marian Alynn (Stratman) Egelus died May 3, 1998, at Safe Harbor Hospice, Las Vegas, Clark Co., NV, at age 83. Buried in Palm Valley View Memorial Park, Las Vegas, Clark Co., NV. Marian A. Egelus, 83, of Las Vegas died Sunday in a local hospice. She was born April 25, 1915, in Dodgeville, Wis. A resident for 32 years, she retired from Sunrise Hospital in 1993 as a registered nurse after 27 years of service, served in the nursing field for 50 years and was a member of the National Operating Room Nurses Association. She is survived by one daughter, Kay-Alynn "Kasey" Egelus of Long Beach, Calif. Visitation will continue until 7 p.m. today in Palm Mortuary, 7600 S. Eastern Ave. Services will be 3 p.m. Thursday in Palm Chapel, Eastern. Burial will follow in Palm Valley View Memorial Park. The family suggests donations to Safe Harbor Hospice, 3910 Pecos-McLeod, Las Vegas, NV 89121. 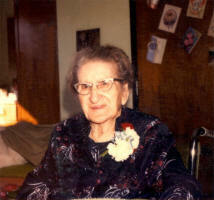 Ella Viola (Dammen) Stratman died December 26, 1999, in Moscow, Muscatine, IA, at age 96. Buried in Eastside Cemetery, Dodgeville, Iowa Co., WI. MOSCOW, IOWA/DODGEVILLE - Ella V. Stratman, age 96, of Moscow, Iowa, formerly of Dodgeville, went to be with the Lord on Sunday, December 26, 1999 at her daughter's home following a brief illness. Ella was born on June 18, 1903 in Argyle, Wisconsin to Martin and Mathilda ((Helmeid) Dammen. She married Dallas Stratman on June 10, 1929 and the couple resided in Dodgeville throughout their married life. Dallas preceded her in death on October 26, 1966. Ella was employed for many years as a Cook for the Dodgeville School District until retiring in 1974. She was a member of the Dodgeville United Methodist Church and the Golden Rule Circle. 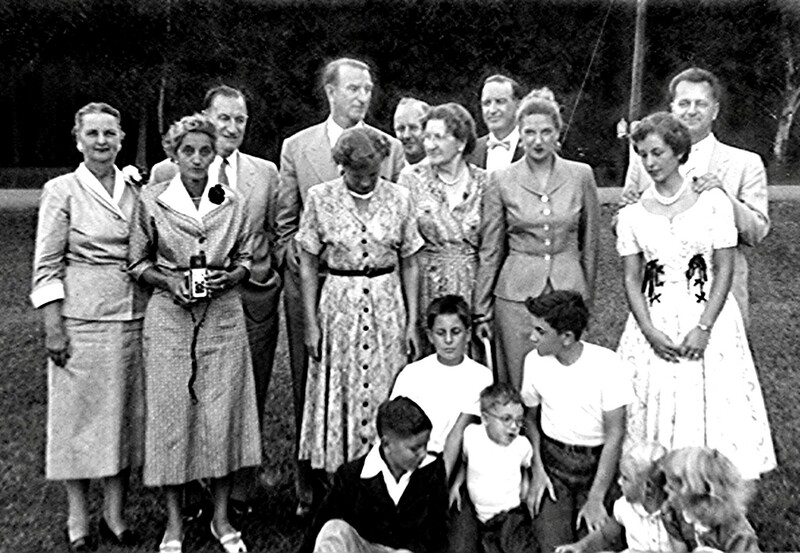 Ella is survived by her daughter, Marilynn (Jerald) Atkinson of Moscow, Iowa; her son, Dallas Dean (Joyce) Stratman of Caledonia, Michigan; four grandsons, Richard (Yong) Nelson of Vernon Hills, Illinois, Steven (Kathy) Nelson of Normal, Illinois, Jon Stratman of Virginia Beach, Virginia, and Derek Stratman of Sackets Harbor, New York; four great-grandchildren, Jerry and Jeffrey Nelson, and Alyson and Timothy Nelson; a brother, Victor (Lettie) Dammen of Argyle; a sister-in-law, Margaret Dammen of Sun Prairie; a special niece, Marie (Ken) Mlodzik of Santa Barbara, California; a special nephew, Lavern (Bernice) Stratman of Seneca, South Carolina; as well as other nieces, nephews, and friends. In addition to her husband, she was preceded in death by her parents; five brothers, Lawrence, Eddie, Clarence, Maurice, and Orlean Dammen; five sisters, Annie Anderson, Ida Hermanson, Clara Stratman, Mina Galt, and Norma Wilson; and a special brother-in-law, Donald Stratman. Funeral services will be held at 11:00 a.m. on Wednesday, December 29, 1999 at the LULLOFF-PETERSON-HOUCK FUNERAL HOME, Dodgeville. Pastor Jean Bartlett will officiate with burial in Eastside Cemetery. 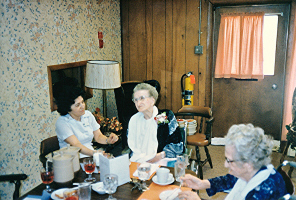 Friends may call at the funeral home on Tuesday, December 28, 1999 from 5:00 p.m. until 8:00 p.m.
Pauline Joan (Stratman) Ludwig died Saturday, October 28, 2006, in Cable, Bayfield Co., WI, at age 80. Buried in Greenwood Cemetery, Cable, Bayfield Co., WI. Pauline Joan Ludwig, 80, long time resident of Cable, passed away Saturday, October 28. She was born on January 6, 1926 to Paula and Frederic Stratman. Pauline grew up in Dodgeville, WI and later raised her family in Lincoln, NE before moving to Cable. Pauline was a lively community citizen of Cable. 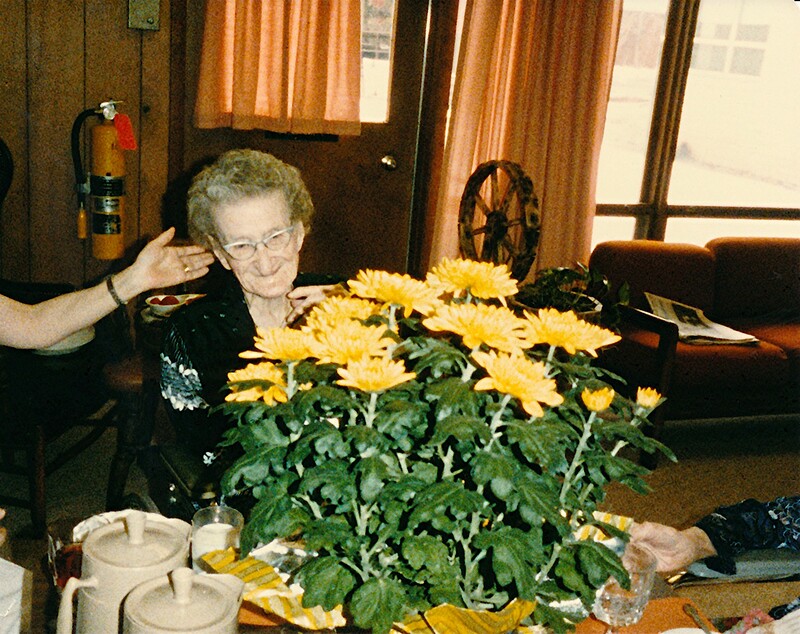 She was office manager for many years at Rasmussen & Sons, Inc. Pauline was an active member of the United Church of Christ, and participated in Women’s Fellowship and the Homemakers. Pauline took great pride of being a gourmet cook. She was a member of the Gourmet Club of Cable. 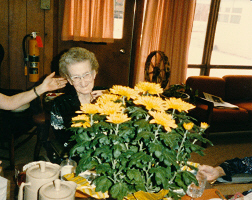 She enjoyed entertaining people with her great home cooked meals prepared with the produce from her own garden. She absolutely loved gardening. She baked delicious pies, cakes, and goodies to share with the community. A night would not be complete without a hand of cards or a game of dominos. 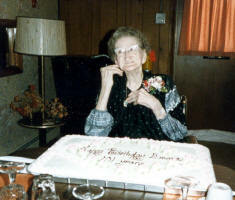 Her favorite games were scrabble and the card game “500” that were played often with her family and friends. It was often that Pauline and her good friend of 14 years, Tom Brilla, would be seen dancing the night away at various events. They were selected as Prom King and Queen at the Community Prom sponsored by the Hayward High School. In addition, they both enjoyed leading wildlife hikes around Cable/Mason countryside for the Cable Natural History Museum. Pauline traveled the world. She had the opportunity to see many places on her own, but also with the program, Elderhostel. Some of her travels included Australia, New Zealand, Switzerland, Germany, Spain, Hawaii, Alaska, and Seattle. Pauline contributed to the community of Cable to the fullest. She was the volunteer coordinator for the Cable Natural History Museum and a board member of the Cable Sewer project. 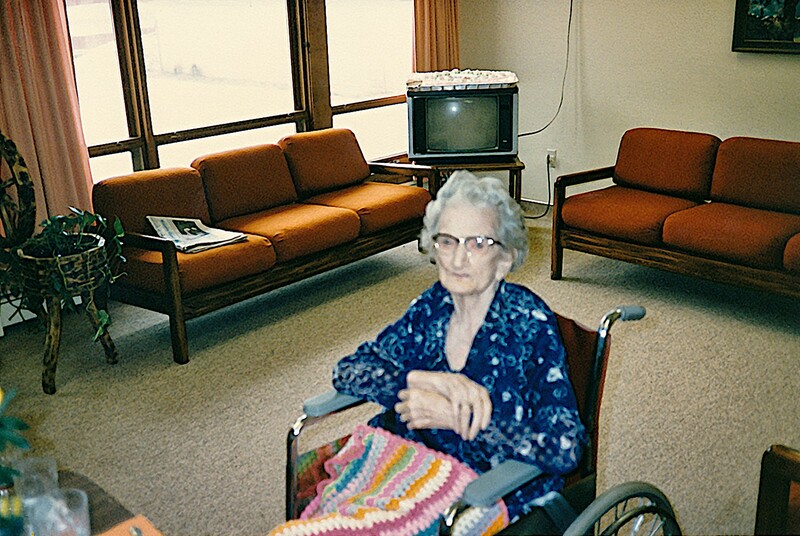 She donated her time as well to many efforts such as the Forest Lodge Library and the American Birkebeiner. In addition, she took part in the Wisconsin Bookworms, the Penpal program and was the treasurer for the Arts and Academic Achievement Club in the Drummond School District. These were just some of the efforts Pauline was involved in, but there were many more. In all venues, Pauline advocated for her core values of justice, compassion, affirming diversity, environmental protection, health care, education and peacemaking. She appreciated very much the support of her loving community. Pauline was preceded in death by her parents, and brother, Frederick “Fritz” Stratman. 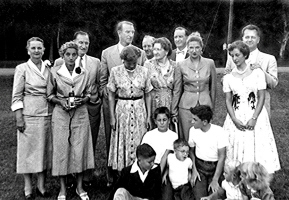 Survivors are her daughter, Ellen Jensen of Seattle, WA; son, Jim (Donna) Ludwig of Tasmania, Australia; sister-in-law, Georgene Stratman of Madison, WI; niece, Annette (Terry) Stratman-Durrer of Verona, WI; granddaughter, Laura Jensen of Bellingham, WA; and two grandsons Reid and Blair Ludwig of Tasmania, Australia. A memorial service will be held in May 26, 2007 at United Church of Christ in Cable. 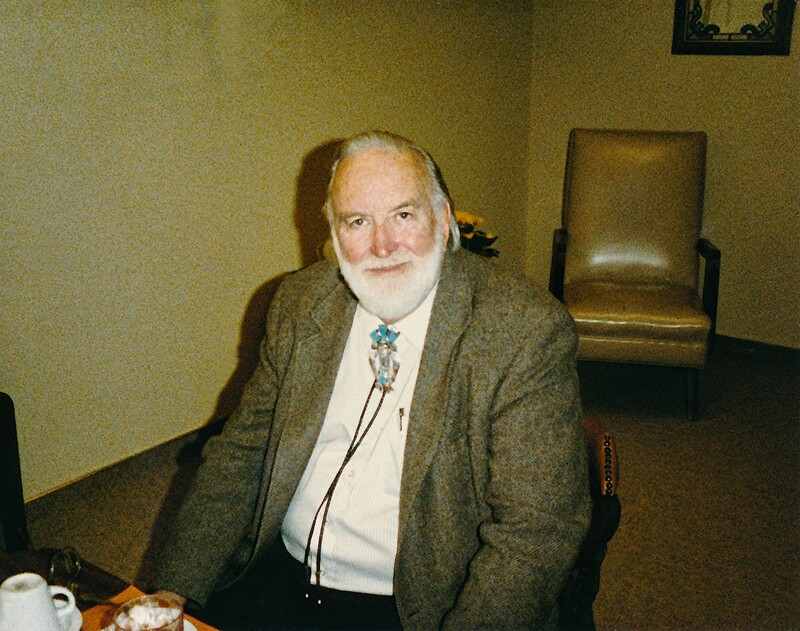 In lieu of flowers, memorials may be made to United Church of Christ, PO Box 279, Cable, WI 54821 or Solar Cookers International, 1919 - 21st Street #101, Sacramento, CA 95814. WESLEY, IA - William (Bill) Blake Stratman of Wesley Iowa, passed away Sunday (Feb. 23, 2014) at Hospice of the Heartland, Algona, surrounded by his loving family in heart and spirit. Born January 31, 1931 in Dodgeville, Wisconsin Baptized Methodist Episcopal Church, Dodgeville, WI 1937. Daughters Zarrie Stratman-Dirkintis, Desiree (Stratman) Jespersen and fiancé Alan T. Herriot, Abbey Stratman, Renee Stratman (all from Racine, WI) Special daughter Cathy (Wirkus) Smith from Chippewa Falls, WI Grandchildren Kyle Dirkintis, Dana Dirkintis, Jennifer Jespersen, Christopher Anderson, Margaret Stratman, Robert Czuper, Katie Czuper, Ellis Beavers, William Beavers and our special angel Thadeus Glen Stewart. Great grandchildren Brianna, Ellis, Emory, Michael, Maliyah and Jasey Rae Married Phyllis (Price) Nicolazzi-Stratman 9/13/1980 in Racine, WI Step-daughter Brenda (Nicolazzi) Stammer - Grandson Brandon Stammer Brother George Stratman, Jr. and Sister-in-law Nancy (Heiter) Stratman, Mesa, AZ, Special Nephew Randy Stratman and wife Deb, Great Falls, MT Special Niece Kelli (Stratman) Croft and husband Peter, Pardeeville, WI and many other special relatives and friends on Bill’s Tree of Life. - Father - George E. Stratman – born Aug. 21, 1905 – died July 5, 1964 in LA, Calif. Graduated from Dodgeville H.S. in Dodgeville. Attended the University of Wisconsin. In the United States Navy he was stationed at Great Lakes Naval Base from 1948 to 1952 during the Korean War. Worked 24 years in data processing as operator, consultant and analyst manager. Spent 30 years in real estate as renovator and landlord. Retired to Wesley, Iowa in 2003 to work on his epic poems, “From the Shadows” and “Macel” along with other short stories and poems. Bill grew up in Dodgeville, Wis. He often told the story of his “Huckleberry” childhood wandering barefoot thru the woods and streams, hills and coulees of beautiful southwestern Wisconsin. Frank Lloyd Wright, the architect, took Bill and other “Huckleberries” to the movies several times during the late 30s and early 40s. When Bill left Dodgeville to join the Navy and see the world, he told us that the world was a little place on Lake Michigan with a fence around it called Great Lakes Naval Base. After the Navy he lived and worked in many places such as Fort Smith, AR; Orlando, FL; Fremont, MI; Alberta, Canada; Garden City, KS; Shreveport, LA; Milwaukee, Kenosha and Racine, WI. Childhood friends and friends he made later throughout his long productive life were very important to him. He believed that everyone deserved respect, but should choose friends carefully. He enjoyed being with his extended family, children, grandchildren and great grandchildren and he will be greatly missed by his family and friends. He was a beloved mentor and guide for so many who knew him.